27K MILES. 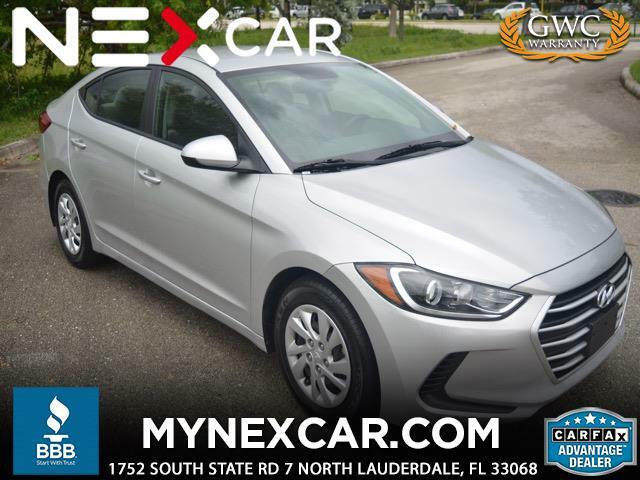 LIKE NEW 2017 HYUNDAI SONATA SE 4DOORS AUTOMATIC SEDAN. SILVER ON GRAY. FEATURES 2.L ENGINE WITH ACTIVE ECO SYSTEM, FRONT/SIDE AIR BAGS, ICE COLD A/C, CHILD LOCKS, FOLDING REAR SEAT, INTERIOR TRUNK/FUEL RELEASES, 12V OUTLETS, CRUISE CONTROL. SIRIUS/XM SATELLITE WITH 3 MONTHS FREE SERVICE AND HD RADIO, MP3, CD, OWNER'S MANUAL, TRACTION CONTROL, iPOD-/USB INPUTS, HID HEADLIGHTS, POWER WINDOWS/LOCKS/MIRRORS, LIKE NEW TIRES AND MORE!